Big changes continue to rock the broadcast TV business: NBC Entertainment chief Robert Greenblatt is stepping down. The news comes nearly eight years after Greenblatt joined the network and just days after the Peacock marked its first full-year household ratings victory in 20 years. Word of Greenblatt’s departure began leaking out late Friday, but while initial reports suggested the exec could stick around for several months, he’s actually leaving today, according to a letter being sent to company employees this morning from NBCUniversal CEO Steve Burke. Greenblatt’s post will be filled by two successors: alternative chief Paul Telegdy and cable production studio co-head George Cheeks. Per multiple people familiar with the situation, as well as the letter from Burke, Greenblatt’s resignation—while unexpected—was very much of his own volition. “This was a difficult decision for Bob, but after a string of extremely successful years at NBC—and as much as I’d like him to stay—he is ready to embark on a new challenge,” Burke wrote. Indeed, after eight years in the same gig, Greenblatt was looking to find new challenges, sources say. Had Comcast been successful with its summer bid to win 20th Century Fox’s entertainment assets away from Disney, such opportunities within the company may have presented themselves. Meanwhile, all sorts of new gigs outside NBCUniversal are likely to pop up in the next couple of years as corporate consolidation in the era of streaming continues to shake up the TV industry. One intriguing possibility: The Leslie Moonves-less CBS Corp., which over the next year or two could end up merging with Viacom and/or other entertainment companies. As for NBC Entertainment post-Greenblatt, the selection of Telegdy and Cheeks means relative stability, at least in the short term. It seems likely the duo, who will share the title of chairmen, will operate much the way Fox TV bosses Dana Walden and Gary Newman have run their divisions for years, with one focusing mostly (if not exclusively) on creative affairs and the other concentrating on business-related matters. As Greenblatt noted in an interview with Vulture earlier this month, Telegdy has been a huge part of NBC’s comeback narrative: He was responsible for developing and rapidly launching The Voice and a slew of other unscripted hits. As broadcast networks such as NBC continue to search for live and unscripted events to stand out against streaming, Telegdy’s skills in those arenas will be valuable. He and Cheeks will also be charged with figuring out NBC’s future as it—and parent company Comcast—look to build direct-to-consumer subscription services to compete with Netflix. Meanwhile, NBC isn’t the only media company going through major changes. Variety, which first broke news of Greenblatt’s pending exit on Friday night, has also reported the imminent departure of Disney-ABC TV Group chief Ben Sherwood and the likely arrival of 20th Century Fox execs Dana Walden and Peter Rice at Disney-ABC. An earlier version of this post misidentified NBCUniversal CEO Steve Burke. 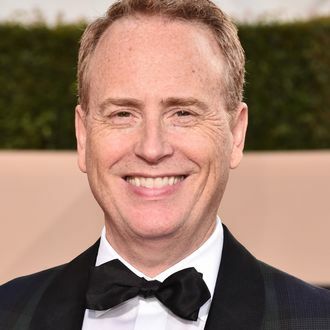 Bob Greenblatt Saved NBC. Now What?